Greenbrook Pools has built thousands of swimming pools over the last three decades. We have been constructing commercial and residential pools from Key West to Palm Beach since 1985. Our philosophy is quality, schedule and budget and we will do whatever it takes to complete our projects to the maximum criterion. Greenbook has received numerous awards including, the National Pool & Spa Design Award and Best Luxury Pool Builder in South Florida by Luxury Pool Magazine. We have also been highlighted in several notable publications including, Architectural Digest, Florida Design, Open House, Florida Architecture, Pool and Spa News, and most recently in Luxury Homes Magazine. Our swimming pools have been featured on Home & Garden TV, which revealed a special segment on Greenbrook. 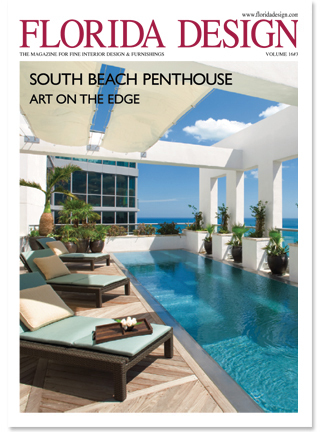 The piece included Greenbrook’s innovative, unique pools along with an interview with Greenbrook’s founder, Ira Grabow, and candid dialogue with some of our pleased clients. The Greenbrook team has worked hard to develop a network of trusted sources over the last three decades. This provides us with the ability to deliver our projects on time and within the defined budget. Our commitment to excellence and our willingness to do whatever it takes is why we build the best swimming pools, best spas, and best water features in South Florida. © 2011 Greenbrook Pools. All rights reserved.